Today in Tha Wire Moody Gardens Galveston Island is simply the 'Coolest Holiday Destination in The Southwest!' The 2018 holiday season will officially get underway on, Opening Day Saturday, November 17, 2018 at 10 am! Trust me watching Santa jump out of a plane, and parachute down to kick-off the amazing Christmas celebration is truly something to see. Enjoy 8-holiday attractions with the entire family and make sure to dress warm because the temp in Ice Land is only 9 degrees! Plan your visit today, and experience the holidays like never before at the magical resort in Galveston, Texas. Click here to watch the tent come to life through our live camera! As the largest holiday destination in the Southwest, Moody Gardens offers more holiday attractions, activities, festive fun, dining and hotel packages than you can imagine. 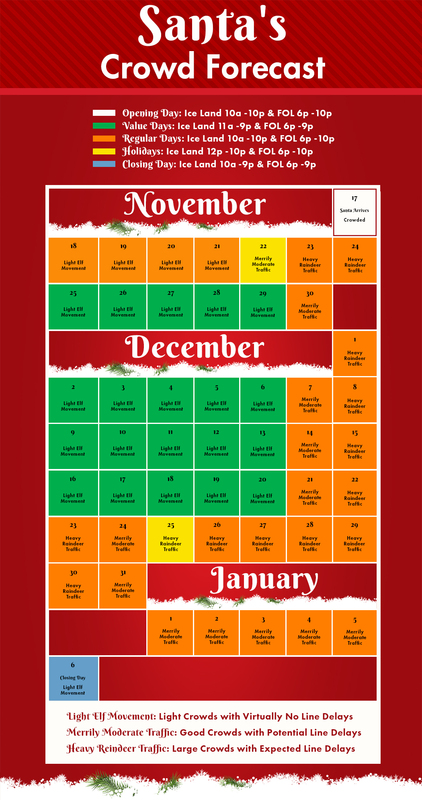 Plus plan ahead by planning your trip, using Santa's Crowd Forecast Calendar. Whether you've been or not, there's always a new theme to explore in Ice Land. This year it took 2 million pounds of ice for Harbin, China's master ice carvers to create a festive journey from the North, to South Pole. See reindeer, polar bears, snow owls, penguins, humpback whales, and walrus. Experience animals that live from pole to pole. Enjoy a few rides down the giant glacier slide, grad a spirit at Shivers Ice Bar that has been transformed into a Northwest Trading Post! Winter Holiday tickets are on sale now. Santa Claus Parachutes in from the North Pole at 5 pm. 11:00 AM to 8:00 PM - Come and enjoy a delicious Thanksgiving Buffet at our Garden Restaurant inside the Visitors Center, it provides casual dining with a spectacular view of Offats Bayou! Adults: $59 Seniors: $49 Children (4-12): $29, Children 3 & under are free. The goal of this event is to help provide an educational program offered to individuals with early onset Alzheimer’s and one family member or caretaker. Growing Together at Moody Gardens, enables caretakers and family members to use these monthly programs as a fun and exciting topic to reflect back on and discuss in their spare time. Growing Together at Moody Gardens is a hands on, interactive learning experience using arts and crafts, exotic animal experiences, tours through sections of our exhibits and attractions, Moody Gardens staff presentations and much more! RSVP this event space is limited to the first 180 people for each reservation time. ***RSVP by end of day on the Thursday prior to each event. Please note this event is open to members and non-members on a first come, first-serve basis. Meet Santa and capture the special memory with your keepsake Santa photo. Glide across the ice on the area’s only outdoor ice rink included with your Festival of Lights admission. Enjoy the fun with a festive glide down the Arctic Slide. Enjoy the holiday lights and music as the train takes you along a section of the Festival of Lights trail. Dec. 21 – Jan. 4 (Excludes Dec. 26) • Moody Gardens Hotel - Enjoy a spectacular, exhilarating and joyous celebration of the holiday season with an enchanting mix of fantastic food, circus and music. Matinees start at $29 • Dinner and Show starts at $59. For more info call 409-683-4186. Dec. 31 - Jan 1 - End the New Year with fun activities for the entire family to enjoy with interactive games, festive food, music and a VIP area to enjoy fireworks! We ring in 2019 at the stroke of 9 PM with our balloon ball drop as your room awaits with this spectacular hotel package!